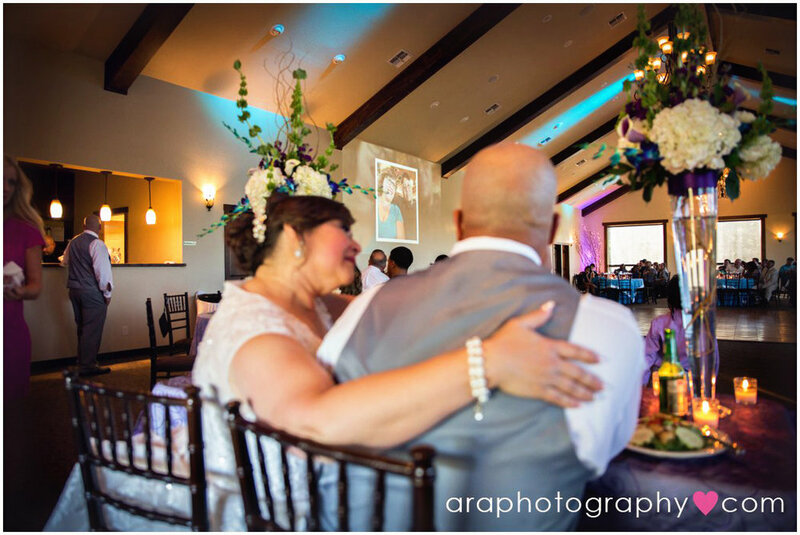 Nancy and Carlos’ love story is one that truly touched my heart. Their love was found later in life, but the fact that their love blossomed after trials and tribulations, makes it the sweetest kind of love. 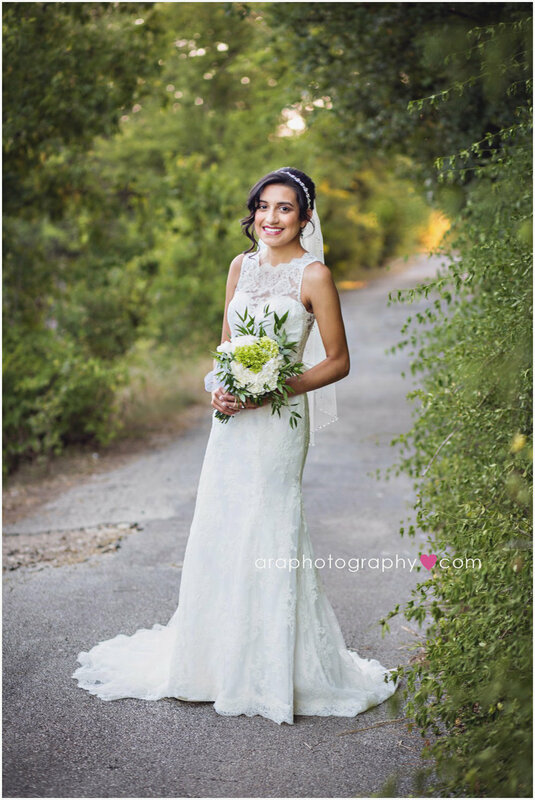 Nancy and Carlos were married on a sunny August day at Scenic Springs in Helotes, Texas. There was much anticipation in the air and they each prepared for the ceremony. 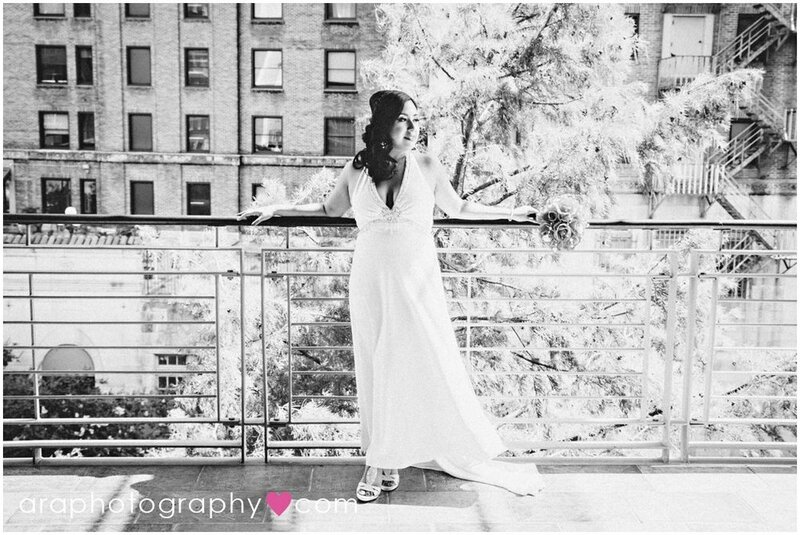 Nancy looked radiant in her white lace gown with her hair styled up. Carlos was dashing in his matching gray vest and slacks and peacock blue and purple plaid neck tie. On his lapel, he wore a single Calla Lily. 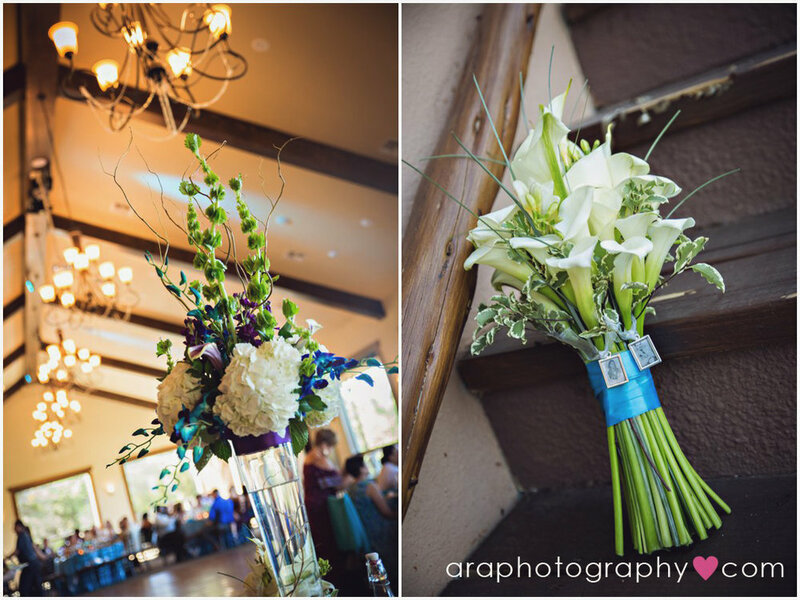 Nancy walked down the aisle with a bouquet of Calla Lilies on the arm of her son. 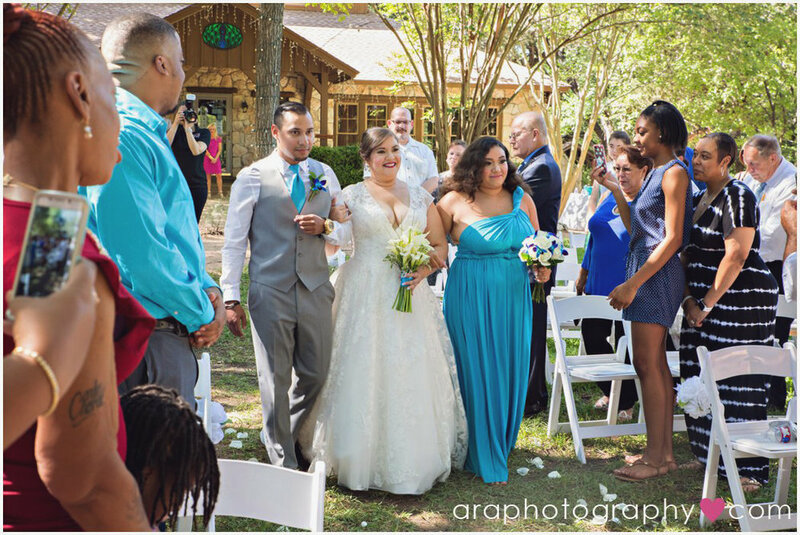 Once they reached the flowered arch, he joined the wedding party, which consisted of Nancy and Carlos’ children and their two best friends, and Nancy joined hands with Carlos. 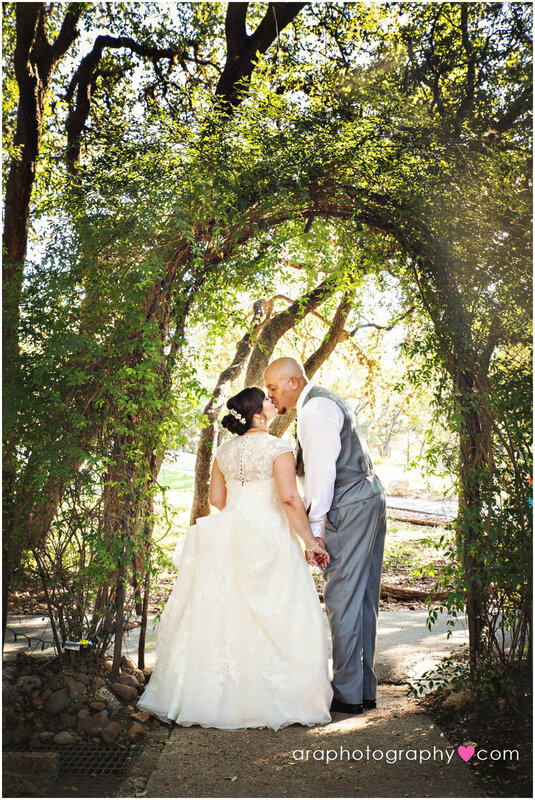 They exchanged heartfelt vows in front of their closest family and friends and sealed their union with a passionate kiss. The reception was held in the beautiful Scenic Springs grand indoor hall. Dinner and dancing were enjoyed by all the wedding guests. Carlos gave a beautiful toast in which he thanked several of his military friends, who literally saved his life. 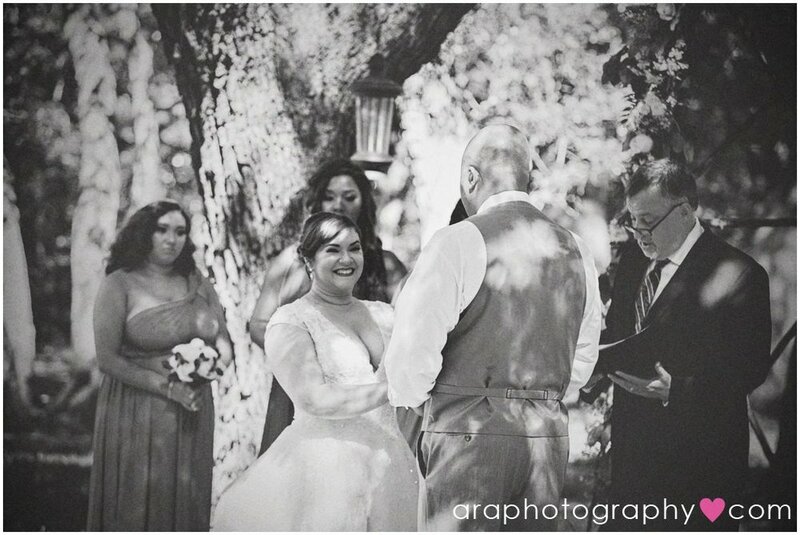 Without them, that special wedding day would not have been possible. Carlos and Nancy, thank you for the privilege of photographing your special day and thank you for your military service. We wish you a lifetime of happiness together. 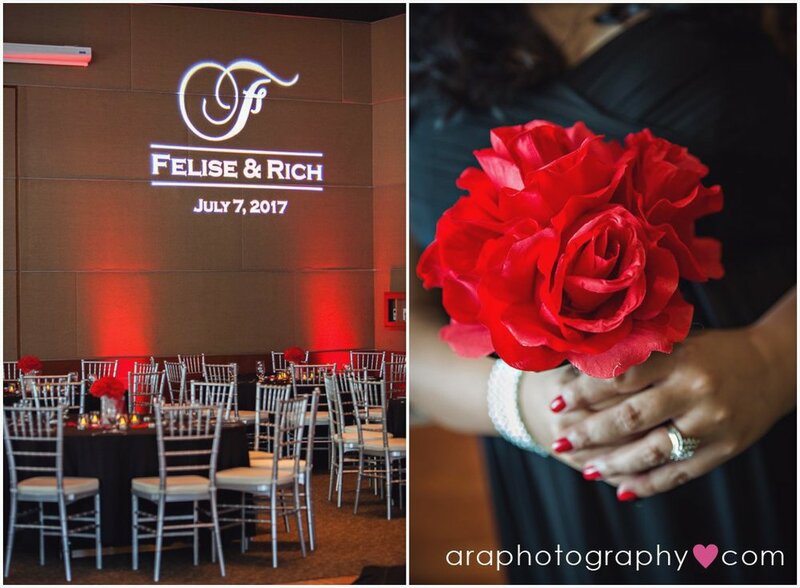 It was such a pleasure to photograph this in love and seriously photogenic couple, Rich and Felise! They are the sweetest couple and clearly in love. 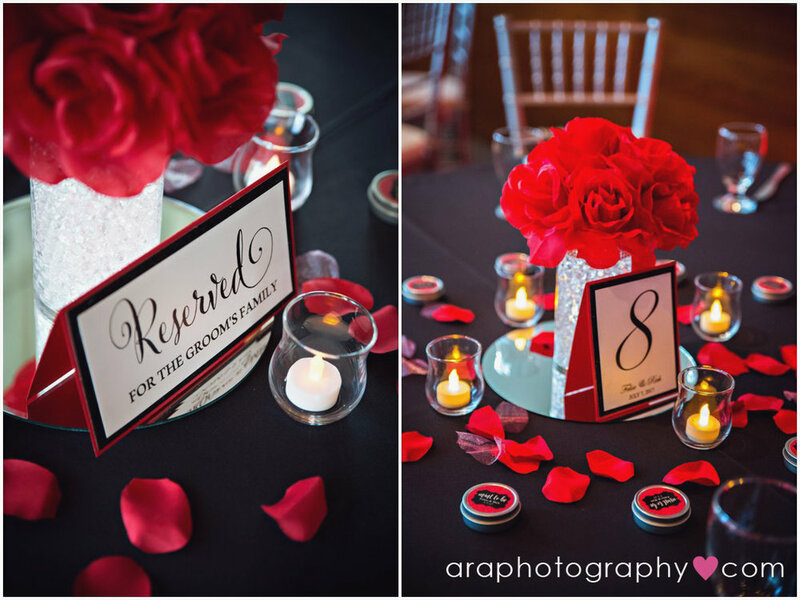 Here are our favorite captures from their Summer wedding at La Orilla Del Rio Ballroom. WOW! 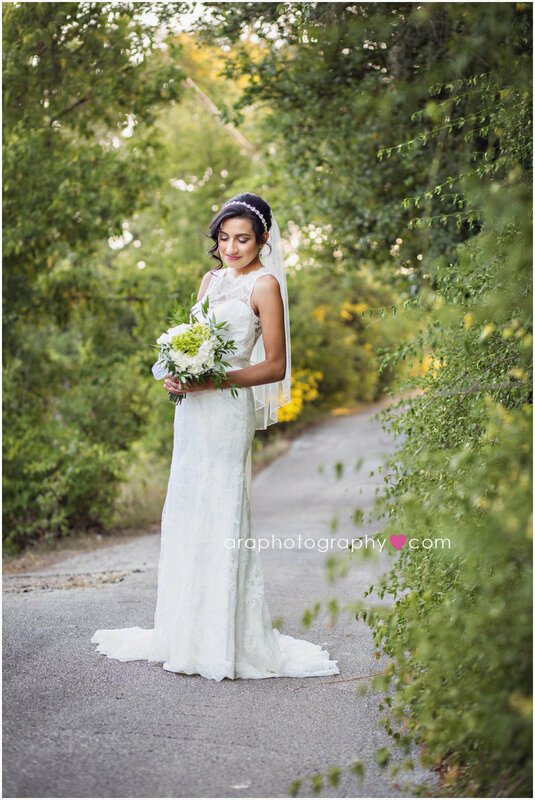 That's all I can say about Andrea's bridal session. We headed over to La Fontana Springs and the weather was perfect. It made for some really gorgeous lighting that made the colors pop. Here's are some of our faves! We are on the Cover!!! 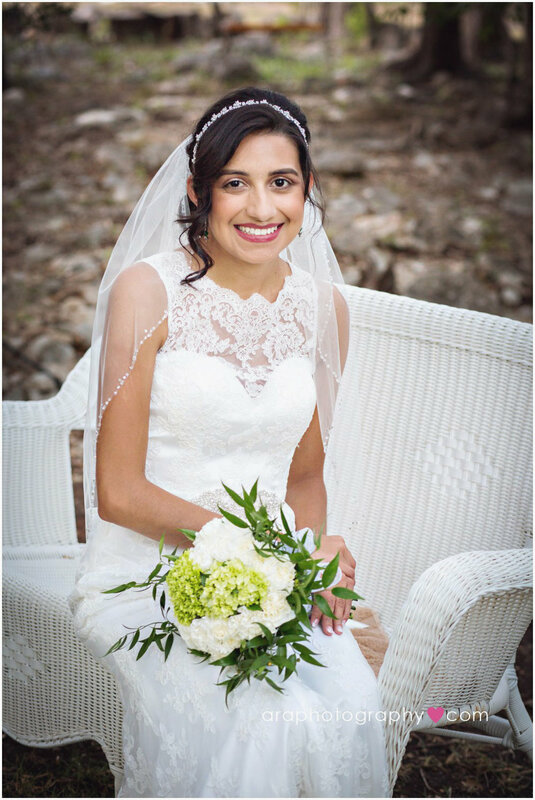 We are extremely excited to share that not only will Katy and Ryan’s wedding be featured as a “Real Wedding” story in the newest edition of San Antonio Weddings Magazine, but Katy and her bridesmaids will also be on the COVER of the magazine for the September and October issue!!! 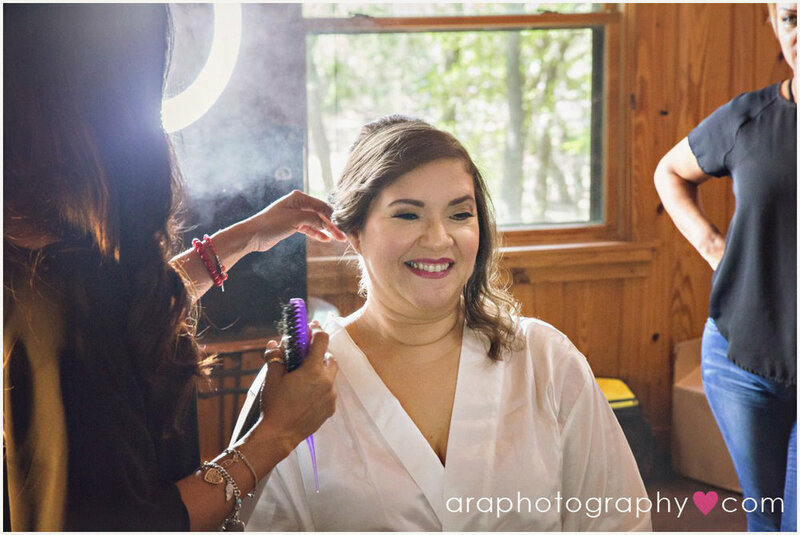 Check out Katy and Ryan's story below. 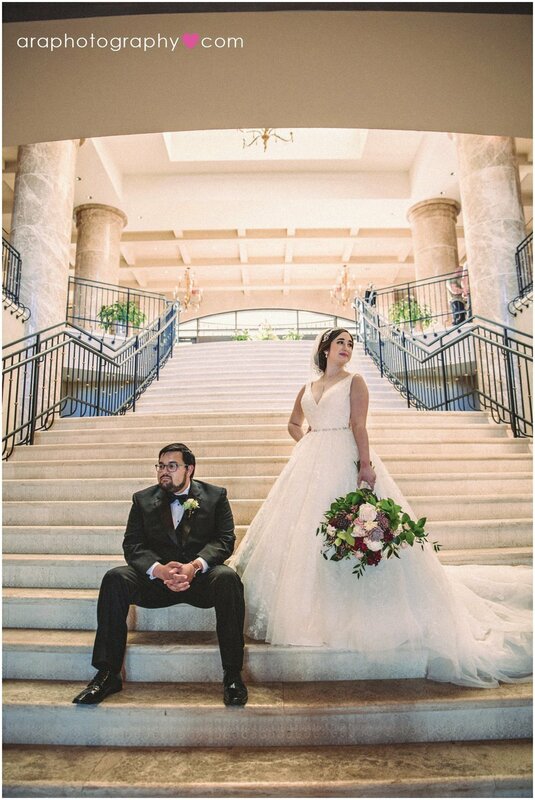 As we celebrate our work gracing the cover of San Antonio Wedding magazine we are offering $350 off the following available dates for 2018: 2/17, 3/24, 4/21, 5/26, 9/15, 10/13, 11/17 and 12/1. Katy and Ryan are high school sweethearts. There is something incredibly romantic about finding your soulmate when you are still a child and growing into adults together. How wonderful to spend your whole life loving the same person! 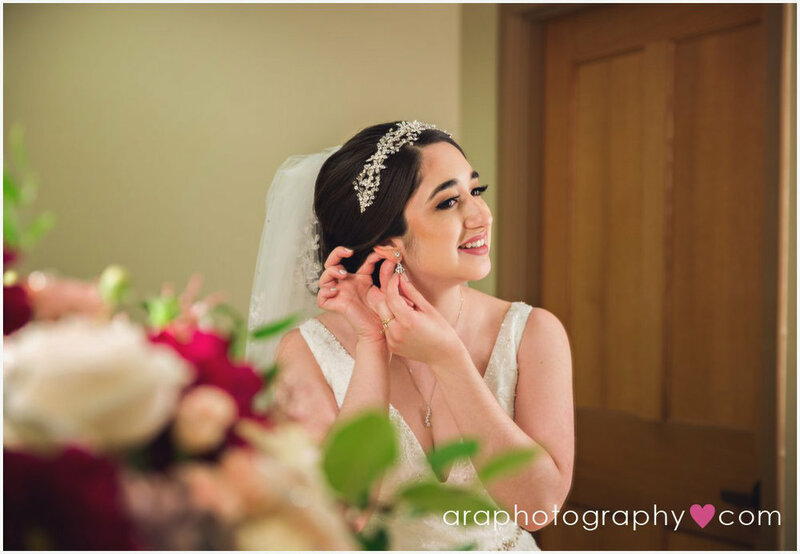 Katy and Ryan were married on a bright winter day at the St. Anthony Claret Catholic Church in San Antonio, Texas. The church is impressive from the outside, with a large gabled roof and a tall bell tower. From the inside, the St. Anthony Claret is downright gorgeous, featuring a soaring ceiling and walls of glass windows that flood the sanctuary with beautiful light. Ryan looked dashing in a black tuxedo and matching black bow tie. 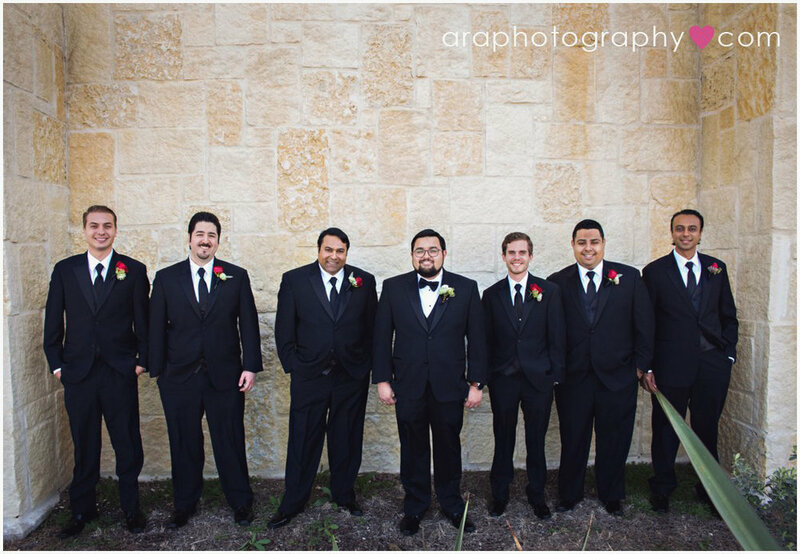 His six groomsmen also wore black tuxedos and black ties. Katy was stunning in a white v-neck tulle and lace gown with a jeweled waist and a jeweled headband in her dark hair. 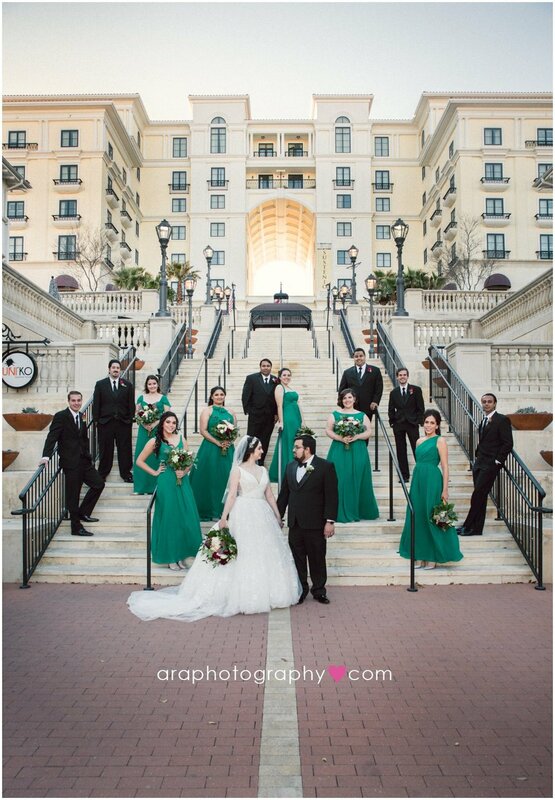 Katy’s six bridesmaids wore emerald green, floor length dresses and accessorized them with white faux fur wraps. 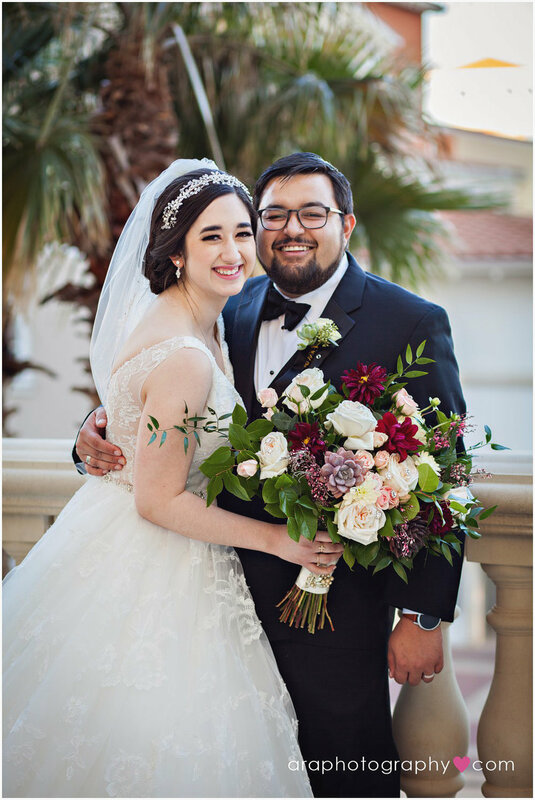 The flower bouquets were a unique mix of burgundy and light pink flowers and succulents. Everything came together for a fresh twist on a classic look. 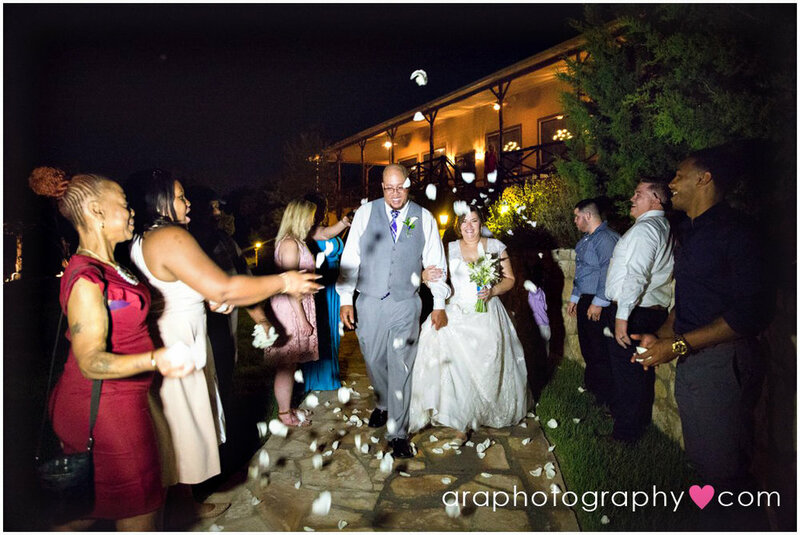 The wedding reception was held at the Éilan Hotel & Spa, a boutique luxury Tuscan-inspired hotel in San Antonio. 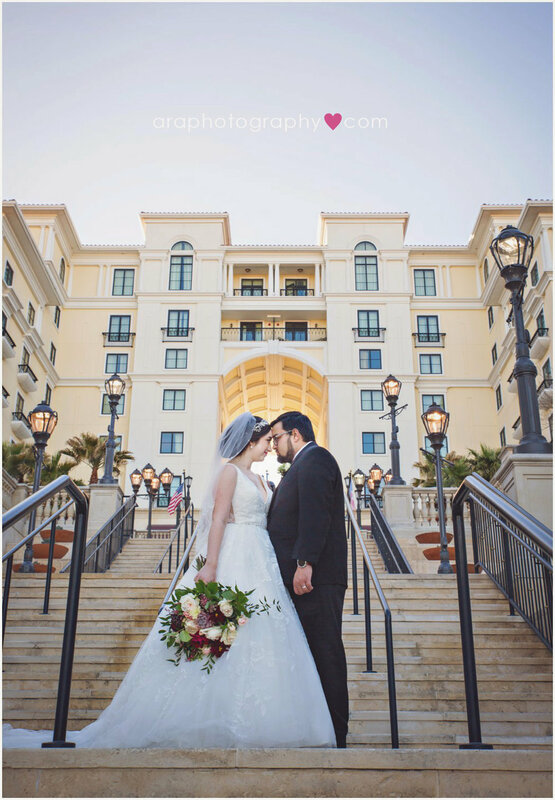 Before the reception began, we were able to have a fun portrait session with the wedding party on the dramatic signature staircase that leads to the Éilan Hotel & Spa. The elegant Incanto Ballroom was decorated with beautiful linens, burgundy and pink florals, a candy bar, and a delicious wedding cake. 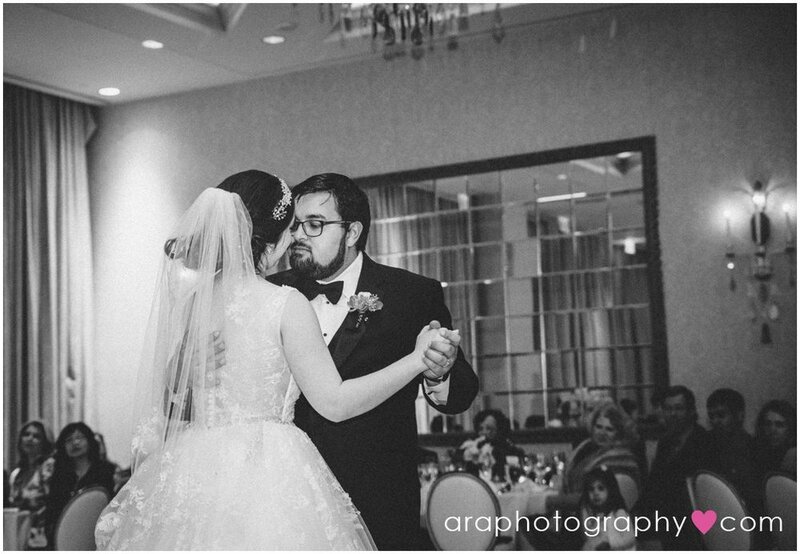 A DJ played music as the happy couple danced the night away. Congratulations Katy and Ryan! 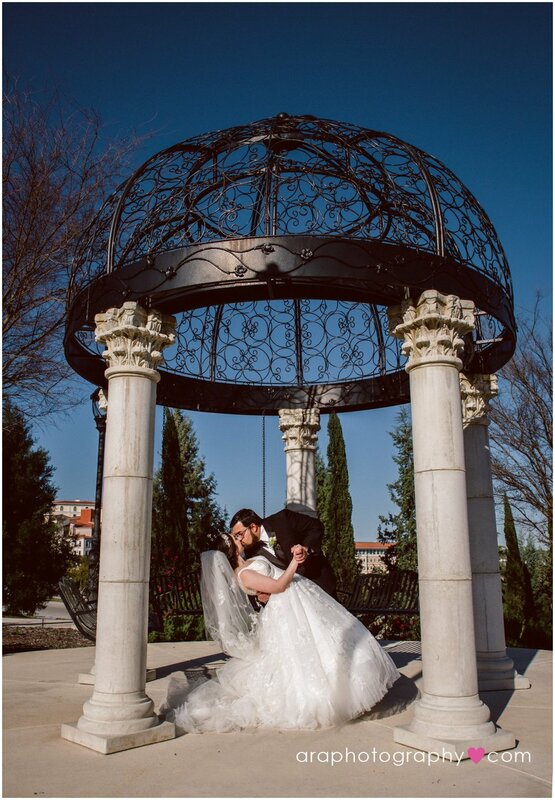 We feel honored that you chose us to photograph the most important day in your lives thus far. 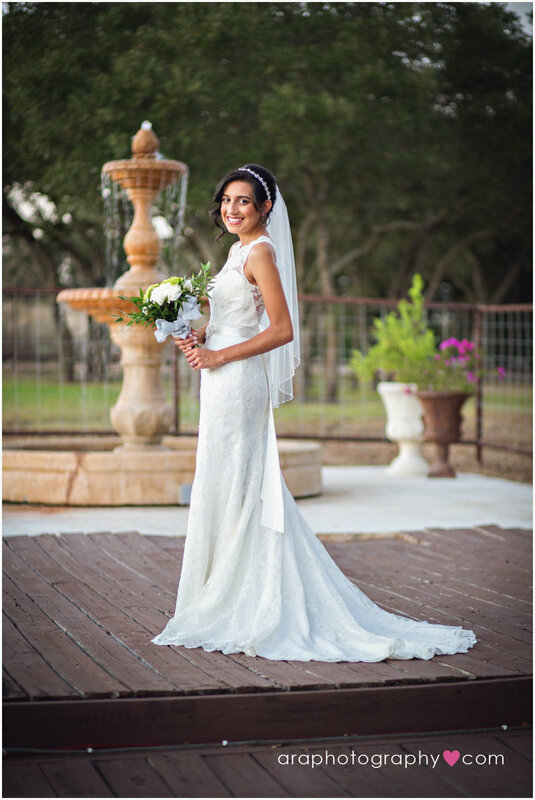 As we celebrate our work gracing the cover of San Antonio Wedding magazine we are offering $500 off the following available dates for 2018: 2/17, 3/24, 4/21, 5/26, 9/15, 10/13, 11/17 and 12/1.